Docutech Limited, will unveil the Xerox Iridesse® Production Press during the West Africa Xerox Production launch event on 26th March, 2019, in Accra, Ghana. Attendees of the launch will include senior delegates from top press and publishing houses, graphic artists, Ministries, Docutech partners from the West African sub-region, and guest of honor, Mr. David Asante, Managing Director of the Ghana Publishing Company. “The launch of the Iridesse Production Press in the West African sub-region will enable organizations and print providers to deliver an integrated end-to-end experience to their customers by recognizing the importance of greater efficiencies, reduced complexity and faster time-to-market capabilities. The Iridesse eliminates multiple presses and processes usually required for print embellishments, increasing capacity and profits which will greatly impact the market,” said Jean Louis Feghali, General Manager, Docutech Ghana Limited, the Authorized Distributor of Xerox Products in Ghana. 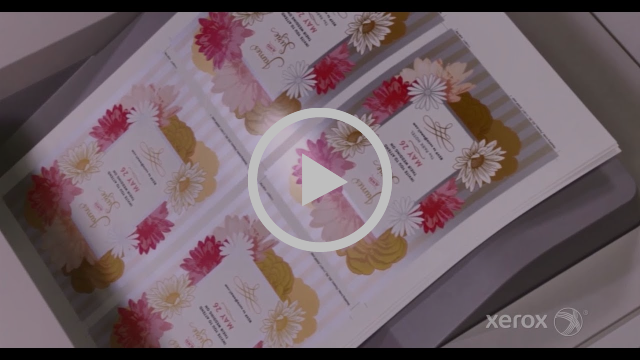 The Xerox EX-P 6 Print Server by Fiery® enables the creation of customized workflows for metallic applications with advanced RIP capabilities and color management tools. Two Dual Advanced High Capacity Feeders, Bypass and Inserter options allow running of up to eight different stocks in a single job or do production runs with a total of 12,500 sheets. The two inline specialty dry ink stations allows for the creation of lucrative applications with spot colors, metallic and mixed metallic gradients, and specialty enhancements. Gold and silver dry metallic inks can be used on their own or layered under or over CMYK to create unique iridescent palettes. Xerox FreeFlow® Core’s pre-built workflows which enable print providers to automatically and selectively transform text and graphics for printing gold and silver without editing the source documents from a designer. “Xerox has a proud history of pioneering research, and continues to be in the forefront of innovation. 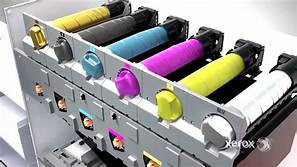 We are excited to bring new Xerox technology such as the Iridesse Production Press to Ghana to introduce products that innovate that way businesses in West Africa communicate, connect and work,” adds Feghali. The Iridesse Production Press will officially launch and available for orders in Ghana from Docutech Limited who also provide comprehensive product training and after sales service. Next ASHANTI REGION TO HOST THE 20th VODAFONE GHANA MUSIC AWARDS NOMINEES JAM!